Top 10 Films takes a look at comedy movies that have stood the test of time, works of comic genius that are as funny, potent and relevant today as they were when audiences first got to experience them. comedies of olden days may seem somewhat predictable today. What makes a great comedy film? Now there is a difference between past comedies that just leave strong legacies, and past comedies that are still hysterical today. For instance, one may appreciate influential classics such as Some Like It Hot, but at points the humour can feel a little corny and dated by modern standards. The modern comedy has evolved into an entirely different beast, wherein the pacing of scenes is much faster, and dialogue bounces back and forth more naturally. As such, the mark of a truly great comedy is if it was not only innovative for its time, but if its jokes still feel fresh decades later. These are the top 10 comedy films that I believe best achieve this type of longevity. 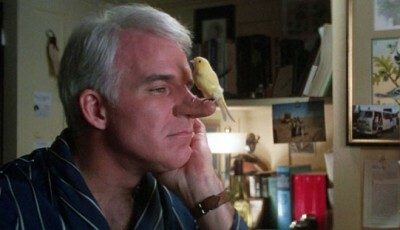 Quite simply, The Jerk is a tale of an idiot. When it comes to comedy, somethings are just inherently funny, and idiocy always has the potential to be hilarious if done right. 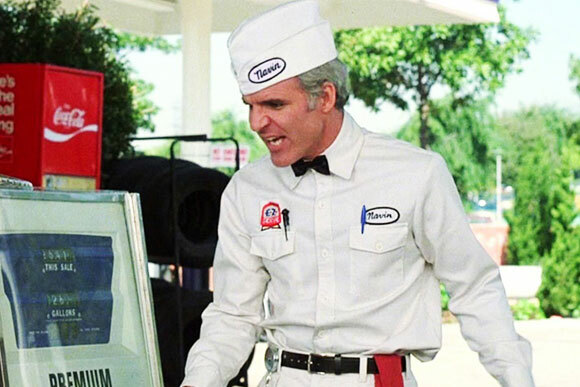 As such, Steve Martin’s unabashed display of exuberance and stupidity as Navin R. Johnson will forever be entertaining, no matter how old the movie gets. The story is loose and unfocused, simply following Martin’s character as he finds himself in various professions and financial situations. However, the meandering nature of the plot works in the film’s favour; by having Johnson bumble through countless different shenanigans, The Jerk is able to offer such a variety of comic scenarios that it never feels old. In terms of straight-up comedy, Ferris Bueller’s Day Off may certainly elicit a chuckle or two, but it is unlikely to have viewers rolling on the floor with laughter. 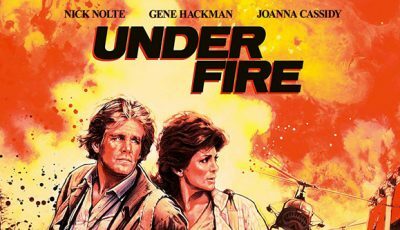 However, it remains such a popular movie to this day precisely because it does not rely purely on the strength of its jokes. 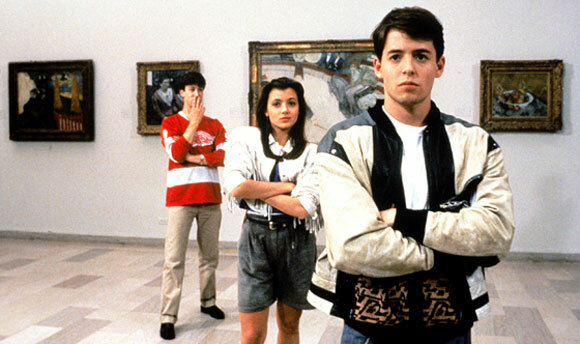 Ferris Bueller’s Day Off, much like its titular character, gets by on charm. It is a light, breezy film that feels like comfort food, while at the same time tells a poignant coming-of-age story. Although it is by no means the funniest film of all time, Ferris Bueller’s Day Off will forever be a feelgood comedy that fans will keep coming back to. Many remember Ghostbusters as one of their favorite childhood films. 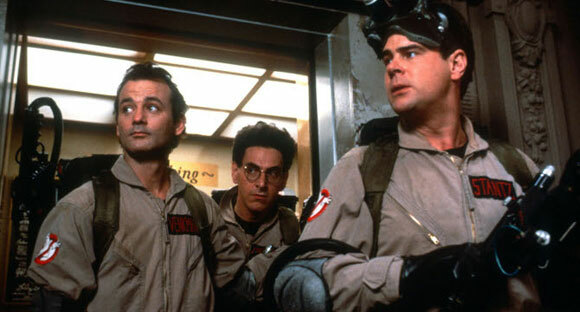 But do not be fooled; Ghostbusters’ status as a comedy classic is not purely due to nostalgia. In fact, one would be pleasantly surprised to find that Ghostbusters is just as funny today as it was when one saw it as a kid. The biggest factor is certainly Bill Murray. Murray’s performance truly elevates the film, and remains comical even to modern viewers. Some Ghostbusters jokes land and some fall flat, but it is the manner in which Murray’s character seems to float through the film’s events, treating all occurrences with an air of nonchalance, that really keeps the humor consistent. It also helps that the movie is pretty good outside of Murray’s performance; after all, when will a gigantic Pillsbury Doughboy stop being funny? Arguably both the best black comedy and political satire of all time. In Dr. Strangelove, the United States and the Soviet Union have quite accidentally set themselves on a path to mutually assured destruction. Some might say that jokes are funnier when the stakes are higher, and in no other comedy have the stakes ever been this high. 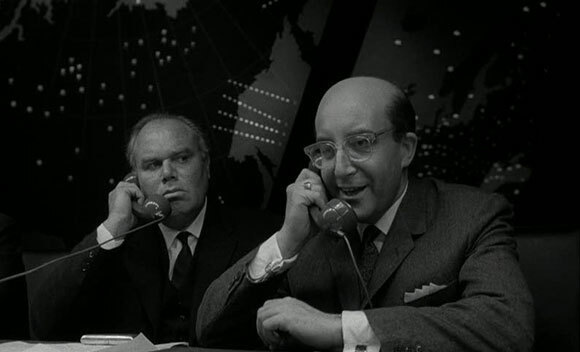 Aside from its brilliant concept, Dr. Strangelove features a sharp script, as well as some tremendous performances from Peter Sellers and George C. Scott. However, perhaps the singular most important reason that Dr. Strangelove is so praised today is that its themes are still strikingly relevant. Not much has changed since the 1960s, and we can still bring about the apocalypse with the press of a button. Dr Strangelove reminds us how fragile our world is, and the only defence mechanism we have at such a daunting thought is to laugh. Certainly the oldest film on this list, it is particularly impressive that a Charlie Chaplin film made in the 1940s and can still entertain people today. Chaplin’s work relies primarily on physical humor, and well-timed physical humor will always get laughs. 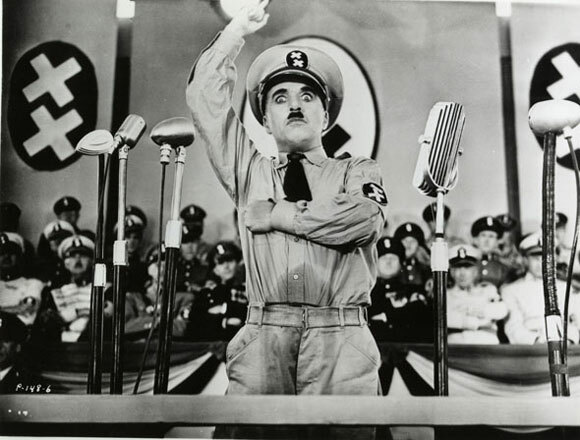 The Great Dictator is not necessarily Chaplin’s best film, as many find some of his other works, such as City Lights and Modern Times, to be more charming. However, in terms of sheer comedy, The Great Dictator is without a doubt the funniest. Although it is the first Chaplin film to consistently use dialogue, it is mainly the visual comedy that has allowed it to preserve through the decades. Young Frankenstein is essentially the perfect parody film; it plays on horror tropes by showing the story of Victor Frankenstein’s grandson, who pursues similar goals as his grandfather with much more comical results. The reason that Young Frankenstein works so well, even by today’s standards, is that it is one of the few well-made parodies. Its slow pacing and use of shadows make the film really feel like a horror movie, which makes it all the more hilarious when the seriousness is undercut by moments of sheer ridiculousness. 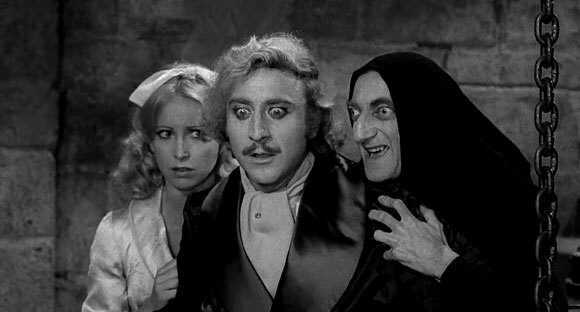 Basically, Young Frankenstein understands that good parody is all about contrast. Modern parodies often skip trying to do serious setup, and merely throw punchlines to see what sticks. However, by utilising somber music, dark setting, and filming in black and white, the serious nature of Young Frankenstein scenes contrasts sharply with the comedy that’s occurring. The more serious each scene is setup to be, the harder each punchline hits. A comical recreation of the tale of King Arthur and his knights roaming the land searching for the Holy Grail, encountering numerous obstacles and foes along the way. It is a completely freeflowing film, that feels more like a collection of sketches than a singular, focused plot. 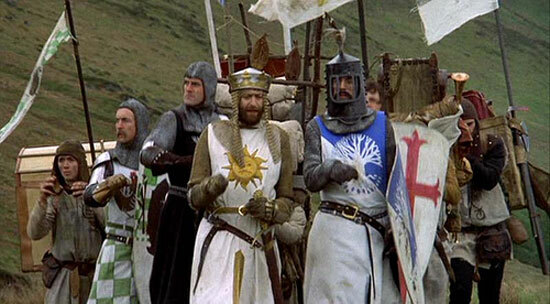 It is clear why Holy Grail has consistently been considered one of the funniest films of all time, as it is strong on numerous fronts; it incorporates physical comedy, parody, shades of political commentary, and just plain silliness. However, perhaps the biggest factor for its longevity is that Holy Grail is not afraid to regularly break the rules. The film casually switches to animation in the middle of scenes, frequently breaks the fourth wall, has deliberate plot devices, and generally embraces absurdity. Monty Python and the Holy Grail is simply so daring in its structure that no other comedy has ever successfully imitated it. The grandfather of all mockumentaries, and certainly the best of them. It comprehensively covers countless rock and music industry cliches by representing them in the band “Spinal Tap”, where everything is just dramatically over the top. Spinal Tap is the “Loudest Band in England” their girls have the “Biggest Bottoms”, and as everyone knows, they take it up to eleven. 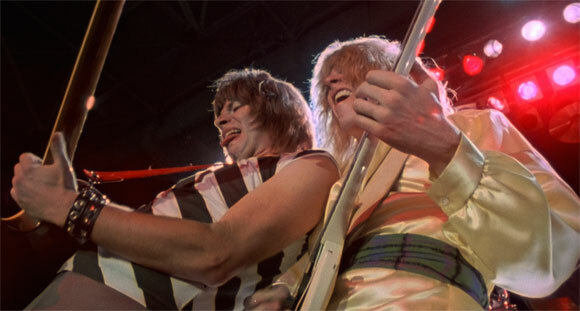 Spinal Tap executes its concept so brilliantly and decisively that it makes all other mockumentaries pale in comparison. The acting is wonderfully underplayed, and more importantly, the dialogue is natural and conversational. By treating every scene as serious documentary filmmaking, the casual throwaway lines of the band members are made all the more hilarious. A comedy about an airplane in jeopardy seems like a simple disaster movie parody on the surface, but it is really so much more. To begin with, one of the most underrated aspects of why the film is so endlessly funny is the setting. Having most of the story enfold in a small, enclosed space with people facing impending doom creates the perfect situation to have numerous zany characters bounce off each other. Airplane can have viewers in stitches for its entire runtime, as it features perhaps the most dense series of jokes of any comedy film. It will not let a minute go by without throwing in a punchline, and its vast repertoire of jokes includes deadpan one liners, puns, shameless stereotyping, physical comedy, and visual gags. 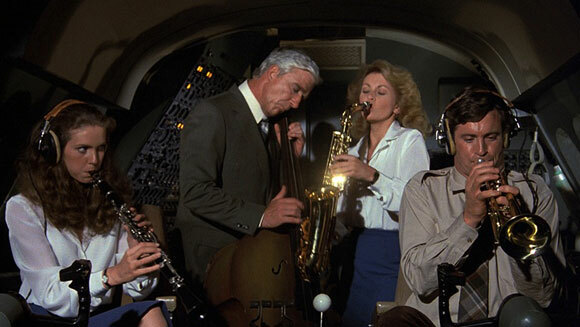 Airplane is by no means highbrow humour, as it will happily go for the low hanging fruit. 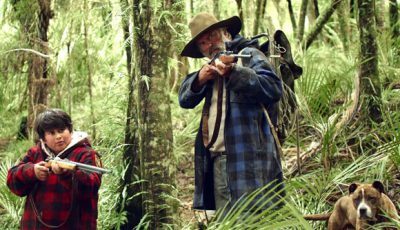 However, the film is so self aware that one cannot help but laugh with it. As great as Holy Grail was, Life of Brian is the Pythons’ true masterpiece. The story in itself is funny enough, as we follow the hapless Brian while he attempts to convince the citizens of ancient Rome that he is not, in fact, the messiah. However, the real accomplishment of Life of Brian is that it is able to create a fully fleshed out comedic world. Everything is funny, as we see ineffectual political parties, inept soldiers, cowardly gladiators, particular merchants, boring prophets, greedy ex-lepers, and crazy naked hermits. 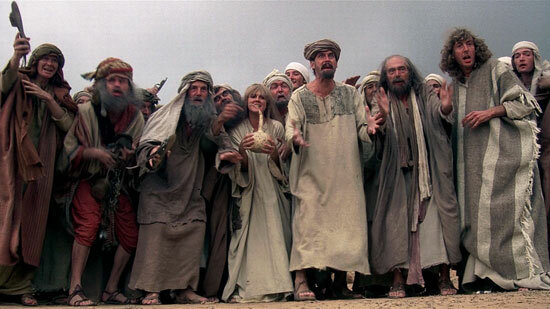 Not one aspect of society in Life of Brian is treated with seriousness, and a great effort is made to make every character, even throwaway ones that only appear once, hilarious. No other film goes to as great lengths to ensure that humor lurks in every corner. As such, Life of Brian has tremendous rewatch value that ensures that viewers will continue to find it funny for years to come. Over to you: what comedy movies do you feel stand the test of time? 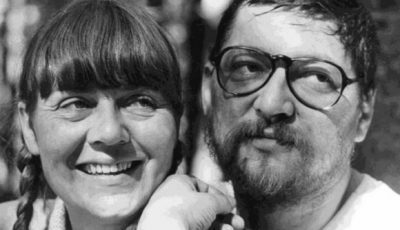 What comedy films are as funny today as they were five, ten or twenty years ago..? Mihir Majumdar is a film writer from the United States, and an aspiring filmmaker. So many classics. 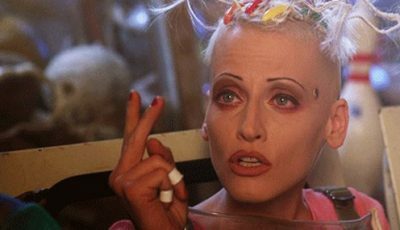 Can’t argue with any of these but if I was to propose another one or two I’d suggest Withnail and I holds up really well and I love The Big Lewbowksi. I know it gets a mention in the introductory paragraph but I do feel Some Like It Hot deserves a place on a list such as this. It “looks” old but it doesn’t “feel” old and never fails to raise a laugh with me. 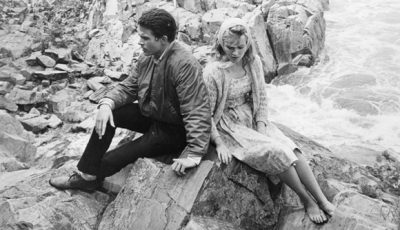 The performances are wonderful – so warm, so charming, Marilyn Monroe is so radiant and enrapturing, and that ending, Oh, that ending. Of the other films on here I must concur with the likes of the Monty Python’s, Airplane, Frankenstein, Strangelove and The Great Dictator but The Jerk, Ghostbusters and Ferris would have to go from my top 10 to be replaced by Some Like It Hot, His Girl Friday and Annie Hall. When I think of His Girl Friday I think of a script-read done late at night with the participants high on coffee and speed. Great film! These are OK but what about: Love & Death, the Pink Panther, The Odd Couple, Some Like it Hot, Bringing up Baby? Controversially, Borat: Cultural Learnings of America For Make Benefit Glorious Nation of Kazakhstan from 2006 made an all-time greatest comedy top 100 produced by respected critics working for Time Out but, while it was the youngest movie to make the top 10, I think they have a point. Listening to some of the crap spoken during the current US Presidential election, the film takes on even more potency in its satirical jab at US conservatives. It’s frighteningly funny! Other relatively new films to make that list were Groundhog Day and team America. The rest of the list was similar to one written by Mihir here. 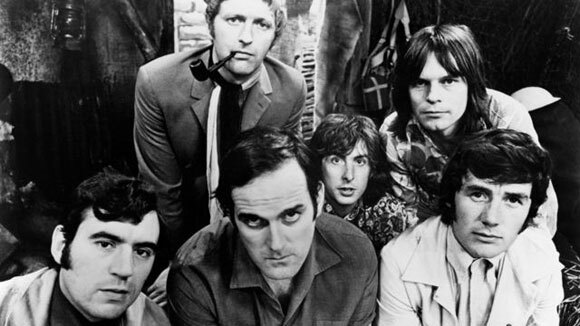 Great to see Monty Python and Airplane. Perhaps it’s worth noting, Some Like It Hot didn’t make Time Out’s top 10 either. Nice top 10 but I’d remove one of the Python’s for a Woody Allen (one of his early slapsticks), take out Ghostbusters for another 80s classic Trading Places, and find a spot for The Big Lebowski. Haven’t seen number 10 and 5, so I really need to check those out! Good list – so many of these still make me laugh on the tenth viewing. Ashamed to admit that I’ve never seen Dr. Strangelove or The Great Dictator, but I love almost every other film on this list and totally agree that they belong, with the exception of Young Frankenstein, which I never could get into. I’m a huge fan of Mel Brooks, although personally I prefer Blazing Saddles or Spaceballs. Like you, I also prefer Life of Brian to Holy Grail in the Monty Python world. 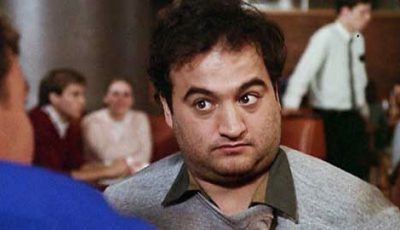 I think Ghostbusters would rank higher on my list, and my top 10 would include Slapshot, Caddyshack, and Animal House. What a joy. These bring back some happy memories that’s for sure. The Great Dictator and Dr. Strangelove seem so timeless, perhaps more so than another film often heralded as a classic comedy – Some Like It Hot (a film I must admit to enjoying immensely too). I just listened to John Cleese’s interview on MPR (Minnesota Public Radio) this morning. The Monty Phyton is definitely a classic comedy. Terrific article. There are so many films that could be on this list but this is a good one. I’d add some other John Hughes films and even though it was only 16 years ago, I’d add Office Space too. 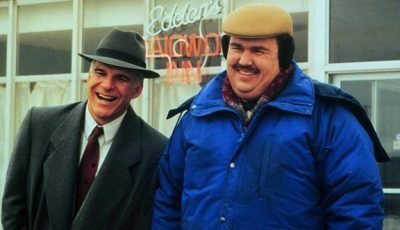 I agree, if we’re going with one Hughes film it would be Trains,Planes, and Automobiles. Just an all time classic and very funny film. I do love Ferris Bueller’s Day Off but in a very different way.